Following on from my wander down memory lane with my Butterfly Cakes, baked apples are another dessert my mum used to make regularly. However, up until recently, I’d never made them myself but that all changed when I found the hugest apples known to man in our local supermarket and decided to have a go. Most of us have a fair idea that apples are pretty good for us, but did you know there was huge scientific evidence which supports this, as laid out in the fabulously informative article by Well-Being Secrets? I really need to bake more with apples, seriously. 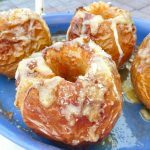 The great thing about these baked apples is they are so flexible, including the level of sweetness, which you can adjust to your own personal taste. Although they have very little sugar, I still found these baked apples very sweet (kids and man loved them) so next time, would definitely reduce or completely get rid of the sugar added to the apples before baking. Admittedly, healthy is not necessarily the first thing that springs to mind when you talk about caramel sauce, this one is so light it would be a crime not to make it. 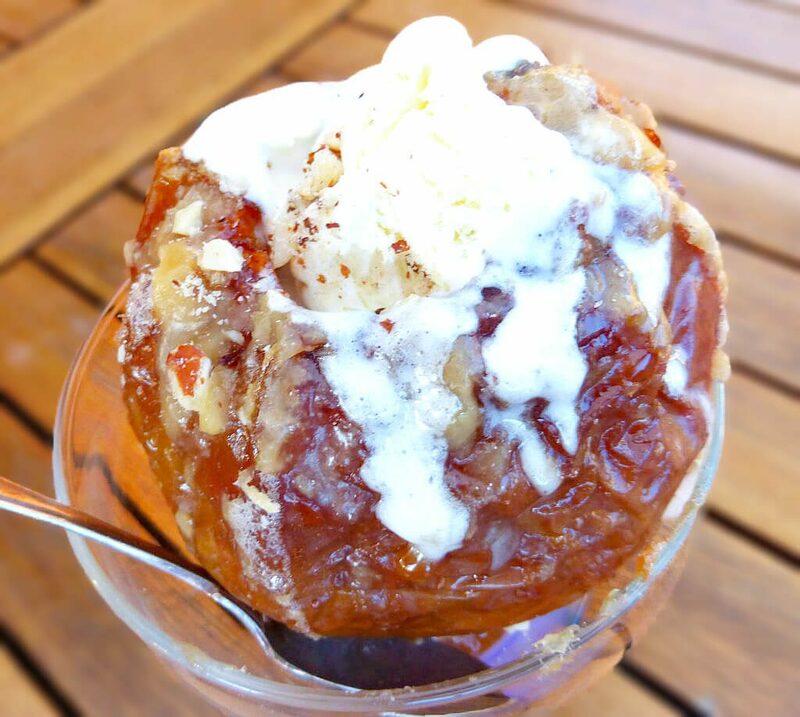 Although the apples and caramel sauce are lighter, the added ice-cream and nuts were not. Sorry, not sorry. Life is all about balance and the benefits you accrue for making your own lighter caramel sauce allow a little compromise. 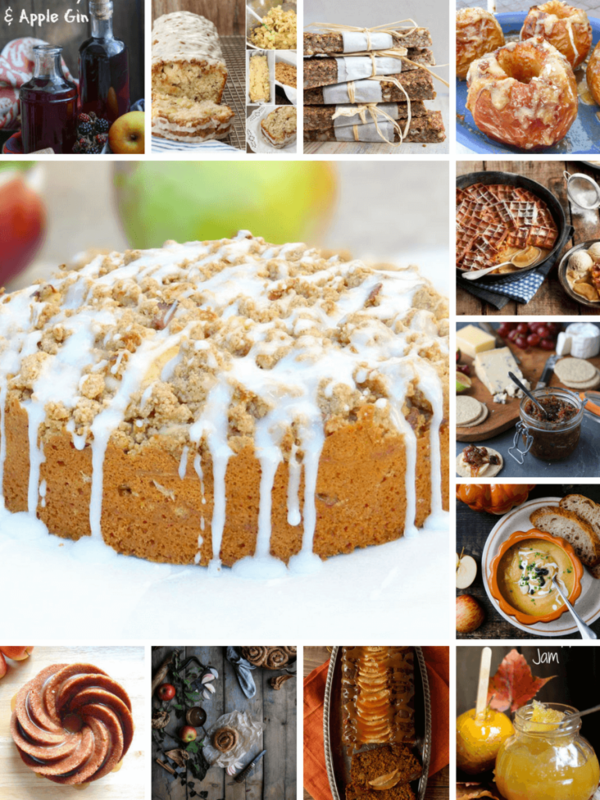 The beauty of this apple recipe is that you can customise – swap out the things you don’t like for your own personal favourites. Core the four apples taking care not to go right through to the bottom and then place on a baking tray or dish. Combine the brown sugar, cinnamon and nutmeg and put in the holes left by removing the core and sprinkle over the outsides. Brushing with a touch of water helps the sugar mixture stick but don't worry if some of the mixture falls on to the baking dish. Pour just enough water in to the baking dish to just cover the surface. Bake the apples for around 50-60 minutes and then remove from the oven. 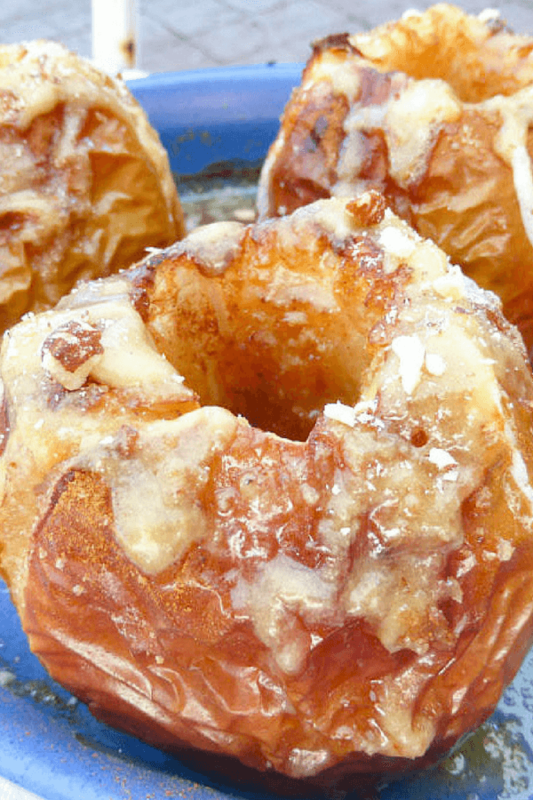 Just before the apples are ready, prepare the caramel: Heat the sugar, vanilla sugar and milk together in a pan. Stir as the mixture heats and when it starts bubbling, add the butter, continuing to stir until it has melted and the sauce has thickened. 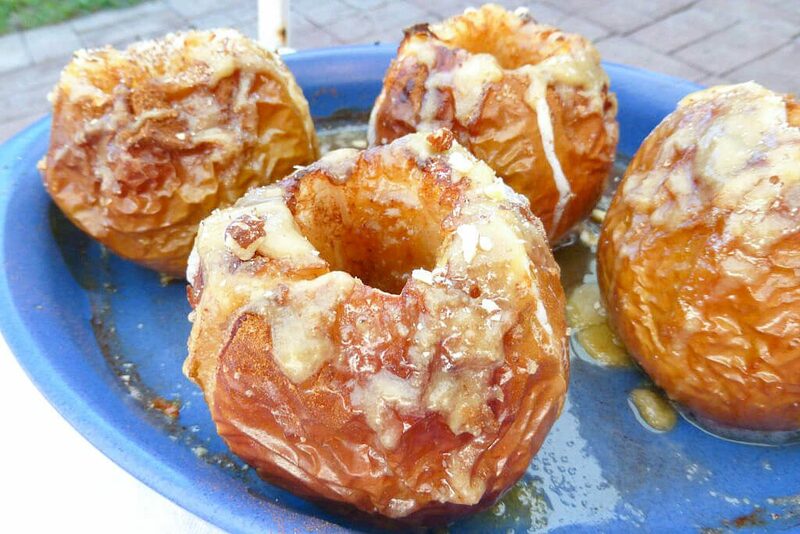 Pour into the middle of the apples and drizzle a little on the outsides. Leave the apples to cool for a while (they are way too hot to eat immediately) and then serve as they are, or with a touch of Greek yoghurt or ice-cream. Enjoy! Love apples? Check out these drool-worthy alternatives to pie or crumble!